The XBOX Collector is designed to help keep track of your video game collection for the original XBOX, XBOX 360 and the XBOX ONE! With over 2500 games and images already added for you to select and add to your collection, and the ability to add games that may not be in the list. Also, you have the ability to create and restore a back up of your collection with just a click of the button. 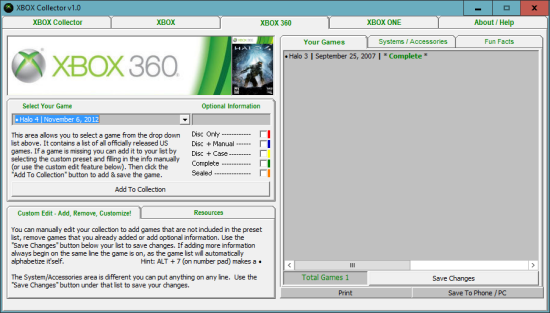 XBOX Collector makes it easy to keep track of all your games. 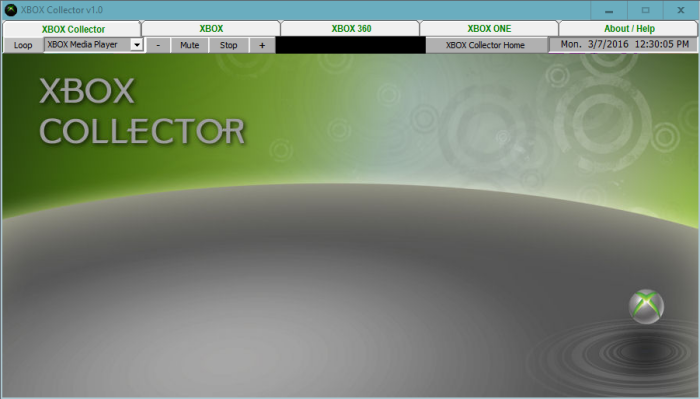 Need to finish adding all images to XBOX 360 and One areas. Keep XBOX ONE game list updated.